Award winning range of jump leads (16mm² - 25mm²). Each set is produced using high grade multi strand copper conductors and is sheathed with a flexible PVC. The heavy duty steel crocodile clips are fitted with an extra strong spring and are fully insulated in either black or red. Individually packed in a heavy duty clip handled polythene bag with user safety instructions printed on the reverse. 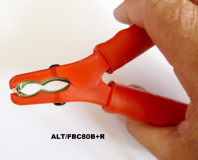 Award winning range of jump leads (35mm² - 50mm²). The heavy duty steel crocodile clips are fitted with an additional braid across the pivot to ensure maximum current transfer. 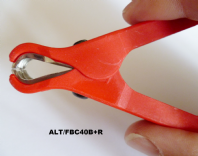 The clips also have extra strong springs and are fully insulated in either black or red. The "ultimate" in jump lead croc clips. Pair of red & black "JUMP" lead fully insulated crocodile clips.